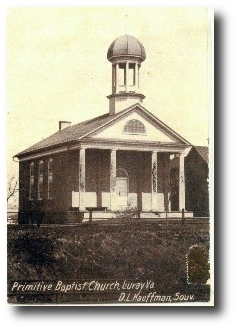 The first Church was built in 1849, called “Old School” Located on Broad Street across from the Post office, where the Confederate monument was erected. The Present “Old School” or Primitive Baptist Church located on Virginia Ave. across the street from the old train station, was built in 1911. In 1910 Mt. 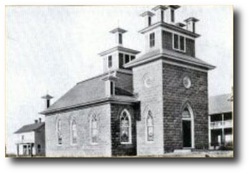 Carmel Regular Baptist Church was built on the corner of Cave Street and Deford Avenue. A 1909 court case settled a split, where, oddly, all members continued to use the same Broad Street building for almost 20 years, alternating Sundays. This was Mt. 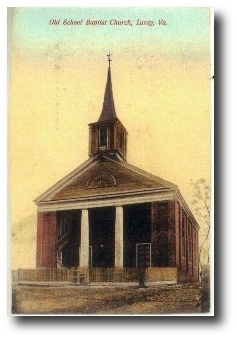 Carmel’s third location since the church was initially established in 1812. The original building was just beyond the southern most end of South Bank Street. The present Location of Mount Carmel Regular Baptist Church, located on 340 South of Luray built around 1980. Present “Old School” or Primitive Baptist Church located on Virginia Ave. across the street from the old train station, was built in 1911. The present Location of Mount Carmel Regular Baptist Church, located on Highway 340 south of Luray, Virginia, was built around 1980.